The IOC chose Brazil at a time in which the nation had swung radically left, and comments by IOC officials at the time indicate that they were more interested in rewarding Brazil for making Lula their head of state than rewarding the nation with the best bid to host the Olympic Games. 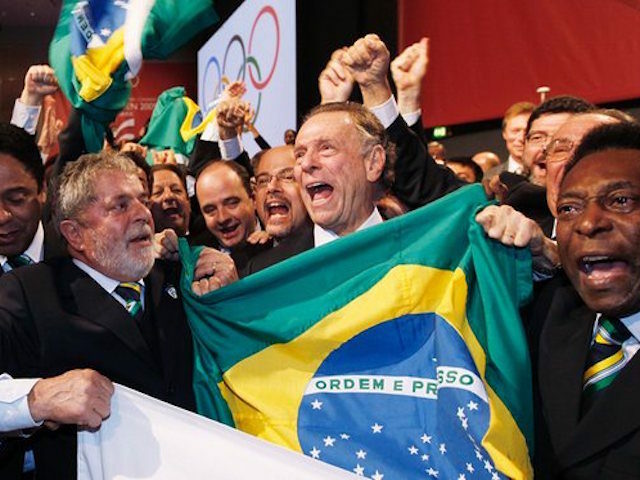 At the time of Rio’s winning Olympic bid, International Olympic Committee (IOC) president Jacques Rogge said of Brazil, “There was absolutely no flaw in the bid.” IOC Evaluation Commission chair Nawal El Moutawakel implied this was false, but refused to speak ill of Rio de Janeiro. We found behind Lula, a dream of a city and also a dream of a nation. He is a strong supporter of Rio de Janeiro’s bid for three main reasons. One reason is the social inclusion for the youth of Brazil and the youth of Rio. The second point is there is a development of all sports infrastructure and other infrastructure that can be a long legacy for the city and country. And the third point is to bring major big events to the city and the country, like the World Cup 2014, and World Military Games and having this bid in this part of the world can be important not only for the city, but the country and the continent. “There is a vision between now and many years yet to come, these Olympic Games come right in the middle of a global vision led by President Lula and the entire government,” she concluded. Lula, meanwhile, reveled in the significance of hosting the Games for his socialist movement. “For us, it will be an opportunity to be equal. 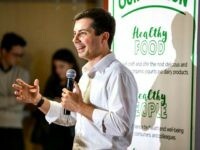 It will increase self-esteem for Brazilians, will consolidate recent conquests and stimulate new advances,” he said in a speech following the IOC announcement. Lula, an ally of the continent’s worst tyrants, from Hugo Chavez to Fidel Castro, did have a vision for Brazil: to use it as a personal piggy bank for himself and his cronies while exploiting the desperation of the poor. Under Lula, officials used the state-run oil company Petrobras to line their pockets with hundreds of millions of dollars by overcharging on contract projects. For years, investigators believed the Petrobras corruption scheme – known by its investigative name, Operation Car Wash – operated without Lula’s knowledge. Judge Sergio Moro, who has become a folk hero for his role in exposing the corruption, found evidence that Lula used Petrobras money to buy himself a beachfront home. Moro opened an investigation into Lula, which immediately prompted President Dilma Rousseff to appoint Lula her chief of staff, granting him immunity. Moro posted audio of Rousseff, the nation’s Minister of Energy during the Petrobras scandal, assuring Lula she would appoint him to a government position for immunity purposes if police got too close to uncovering his role in the scandal. Rousseff accused Moro of trying to foment a coup against her. Rousseff has since been impeached. It is difficult to judge the IOC by the subsequent revelations of rampant corruption by the president whose “dream” they fell for so many years earlier. But it is impossible to fathom how the IOC opted to believe Lula’s talk rather than his action, as Brazil had already hosted the Panamerican Games before winning the Rio bid, and proven an incompetent host. “The country’s infrastructure and organization skills were far below the standards required of an Olympics,” Reuters noted of the Panamerican Games in 2007, with “Rio’s transportation system teetering on collapse for most of the fortnight while workers and volunteers often appeared overwhelmed.” Brazil spent $2 billion on hosting those games, public funds that failed to make it into combatting the city’s staggering violent crime problems or educational setbacks. As the Games begin this week, every concern the Panamerican Games highlighted at the time appear to have made their way into the Olympics. The price of indulging Lula’s Workers’ Party is the safety of athletes and tourists alike. Athletes will have to wade through some of the world’s most polluted water and hope not to contract a virus that could kill their future children before they come out of the womb. Tourists have to trust in medical facilities where the staff don’t get paid and drug traffickers feel comfortable storming in and killing patients. And the Brazilian people have to forego police patrols and education funding that has been dumped into a barely-functional subway system and an Olympic village athletes are refusing to live in.